Pollution becomes one of the uppermost environmental concerns worldwide, especially chemical pollution, which affects the environment, public health of man and threaten other species life. Chemical pollution is frequently a consequence of daily human activities beside manufacturing and disposing of chemicals. Bufo regularis are an example of amphibians in its way to extinction because of chemical pollution. The existing work designed to find a naturally produced substance for protection of Bufo regularis against the chemical pollution. The antioxidant activity of the methanolic extract of Myriophyllum spicatum (MEM) was assessed in vitro using 2, 2-diphenyl-1-picryl-hydrazyl-hydrate (DPPH) assay.The value of inhibitory concentration 50 (IC50) for DPPH radical scavenging was 28.77 ±1.58 µg/mL and the total antioxidant activity of MEM was 191.17±7.1 mg AA equivalent/g extract. For in vivo studies, 40 adult male toads were divided into 4 groups. Levels of malondialdehyde (MDA), proinflammatory cytokines and iNOS showed significantly higher expression in the kidney homogenates of Cd group. These inflammatory alterations accompanied with marked tissue damage in the kidney of Cd-group and moderate improvement of kidney architecture up on administration of the MEM extract as demon-strated by light and electron photomicrographs. 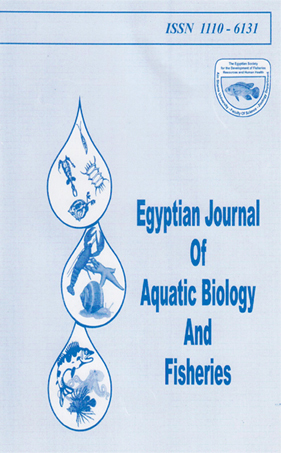 In conclusion, current data confirmed that the Myriophyllum spicatum extract has a potent antioxidant activity against renal toxicity induced by Cd in B. regularis.